Good afternoon, today is looking like it is going to be a hot day at a high of 86 degrees. While in this hot weather make sure to keep your dogs cool and hydrated. 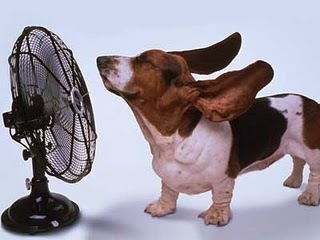 At Fort Fido we keep your dogs cool and hydrated from this hot weather. I enjoy watching the dogs play in pools at times. Don't forget to enjoy the weather while keeping your dog happy and chilled. Here are some protection tips for your dog in hot weather. Happy Friday! Today was a busy day at the Fort, we had a 3 dog assessment to start the day. 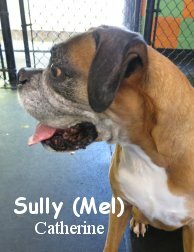 We welcomed, Sully, a 9 year old Boxer, Hudson, a 2 year old Schnoodle, and Hazel, a 1 year old Boxer to our pack today. The two Boxers joined our large roll, while Hudson went into our small roll. All three of them did well and explored their surroundings meeting many new dogs. Sully was eager to lead the pack in the large roll, she showed her leadership skills while Hazel mingled within the pack, making herself comfortable amongst them. Hudson showed interest in the ball and was mingling upstairs with the little dogs. Stay cool this weekend and make sure you and your dog drink plenty of water. This morning we Assessed Hardy. He is a one year old, eighty-three pound, Mastiff Mix, that is chock full of life! The Happy-Hardy, burst into our Big Roll, ready to get his game on. We first introduced him to Nevada, and the two got along very well together. As the morning progressed, Hardy met several other pack members, communicating with them properly and coaxing many of them into play. Hardy really took a liking to, Harley, among several others... Harley and Hardy tore it up, playing fast and furiously about the play area. We are happy that Hardy enjoyed his time here at The Fort, he's one that can get a lot out of Dog Daycare here, and we're stoked that it's a fit. Good on ya Hardy boy! Checkout these clips of Hardy having a grand time. This morning we welcomed Izzy into Fort Fido. 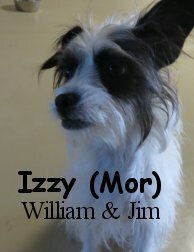 Izzy is a 2-year-old 8-pound Jack Russell mix. Izzy came in cool-headed and ready to figure out what The Fort was. She went on up into small roll and determined that The Fort was a place to have fun at. She warmed up and socialized with the pack in small roll, meeting a lot of new friends here. Izzy had a wondrous day and we look forward to seeing her return for more fun. Yesterday we Assessed the kindly Cano here at The Fort. He is a one year old, thirty-five pound, cream colored, Labradoodle. Cano came in Chipper and happy to be here. We escorted him to the Medium Roll, where he entered without a care. After sniffing around a bit, we had him begin to meet the pack. Cano first met up with Jupiter, and within seconds, the two dogs became playmates! 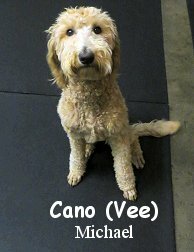 It is quite clear that Cano is no stranger to canine communication and socialization. 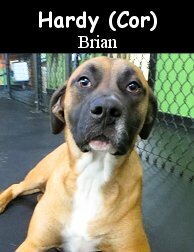 He is already a Dog Daycare Veteran, as he attended another Daycare in the past as a pup. Cano was an absolute pleasure to have in here, we hope he becomes one of our regulars! Checkout Cano in action with Jupiter. This morning the Fort Fido Team had, Charlie, in for his Assessment Day. 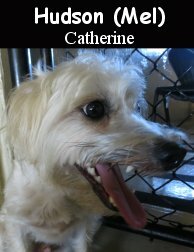 Charlie is a three year old, thirteen pound, Miniature Poodle Mix. This cute little fella jaunted with us upstairs to the Little Roll. Inside, he explored his new found surroundings with his nose to the ground. Once he got settled, it was time for Charlie to meet the other canines... Which he did pleasantly. Charlie had no problems fitting in with the play group and having a good time. When "Ball Time" started, Charlie loved it. He chased after the thrown toys, and really enjoyed pursuing the pack as they chased after toys. We are pleased that Charlie had a nice time here today. He is most welcome anytime. First-rate jobs Cano and Charlie, way to be! Enjoy your weekend, and have fun at The Open if you attend. Welcome McGinnis and Bella to Fort Fido. 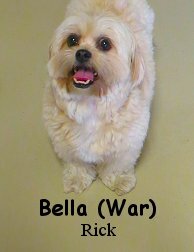 McGinnis is a 10-year-old Austrilian Sheppard and Bella is a 1 1/2 year-old Shih Tzu Mix. McGinnis strolled right on into medium roll while Bella confidently entered into small roll. They both found out right away that The Fort is all about having fun and that they can relax here. McGinnis may not have played a lot today but he enjoyed mingling and meeting the pack. Bella really enjoyed her time here and with some more time would surely play about with the others. We look forward to seeing both McGinnis and Bella return to Fort Fido for some more fun. Allie Bee is a 5 3/4 year-old 45-pound aussie mix and came into Fort Fido this morning curious as to what would be happening. As she entered the medium roll, she was sniffing around and getting to know her surroundings. As soon as she met Jupiter and Kona, the playing was on (Check out the video below!). We look forward to having Allie Bee return for some more fun with the pack. Katrina came to Fort Fido yesterday for her Assessment. 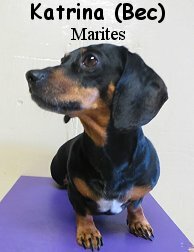 She is a lovely, five year old, fourteen pound, black and tan colored, Miniature Dachshund. Katrina enjoyed her time spent in The Fort's "Little Roll" Play Area. In there, she scampered around without a care, and got along well with the pack. Katrina is a mature canine, that has obviously been around other dogs many times before. Here, she didn't plan too much, but we believe that she could play more here in time. All in all, Katrina, is most welcome to hang here at Fort Fido. Nicely done! Yesterday morn The Fort's crew met up with Pippa for her Assessment. 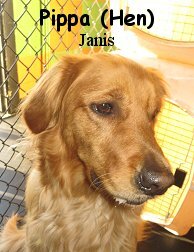 She is a very sweet, one year old, sixty pound, Golden Retriever. Pippa wasn't sure what to make of the Big Roll at first... However, after some time passed, she settled right in with the pack. Pippa communicates with other canines well, and although she didn't play on her "first day", you can tell that she wanted to. Given some time and consistency, we believe that Pippa can relax more, and have an even better time here at Fort Fido. Today we Assessed the springy-pup Paddington. 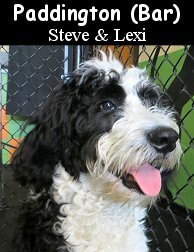 She is a seven month old, 51 pound, Bernese Mountain Dog and Standard Poodle Mix. Happy and full of energy, Paddington bounded into the lobby and then into our Big Roll Play Area. There, she sniffed and jaunted about, exploring the place curiously. After a little while, it was time to begin to meet the pack. For a young canine, Paddington, did a pretty darn good job of "meeting and greeting" with the other dogs. She would get excited as each Fort Fido Member arrived, wagging her tail in delight. 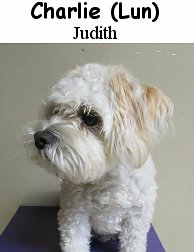 Paddington is here to continue learning how to play, and hone her canine communication skills. 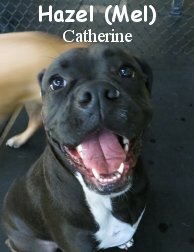 We know that she can get a lot out of Dog Daycare at The Fort. Rest up Paddington, we'll see ya again soon. In the following clip, Paddington, takes on several of the Big Roll's Veterans lol. Way to go girl! Welcome to the beginning of another week. 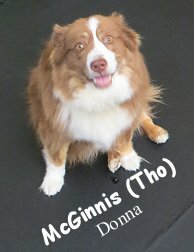 The weather is supposed to be hot at 86 degrees today, so make sure to keep yourselves and your dog cool =) Check out some of these links. This dog is definitely enjoying the wall-jump. There's a "Worlds Ugliest Dog" contest on June 26th, who will win? Last years winner was Peanut. Meet Dozer, a very large lapdog. Cinnamon is a super happy Shiba-Inu. The pictures are very cute! We've been "busy bees" around here as usual... Louie and Lobo, are The Fort's latest recruits. Yesterday we assessed Louie. 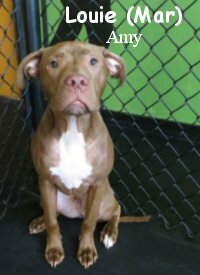 He is a smart, six month old, forty pound, Pit Bull Terrier Mix. This morning we met up with Lobo for his Assessment. 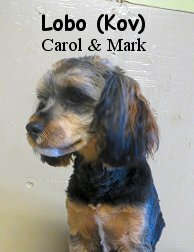 He is a sharp looking, one year old, thirteen pound, Yorkiepoo. Both Louie and Lobo did well here, and are welcome to attend Fort Fido anytime. Nice job fellas! Enjoy this amazing weather and your weekend! In all the years Fort Fido has been around (nine), we've had some very large canines stay with us. Oddly enough however, we've never had in the large iconic breed, popularly known for being a rescuer and comedian, the Saint Bernard, until now... Yesterday we got to Assess Chester. 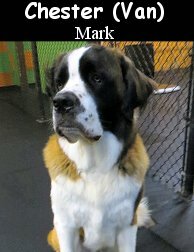 He is a one year old, 110 pound, St. Bernard. Lucky for us, Chester, was a pleasure to have in The Fort's Big Roll. We didn't run into him acting out any "Beethoven-esque" antics with the pack lol. 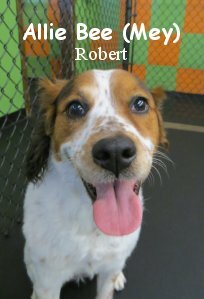 He spoke very good "Dog" for a young adult canine, and really enjoyed his time spent here. Chester made friends with the other dogs within minutes of meeting them. Although he's a dog of very large stature, he is quite gentle and doesn't play too hard. Chester will be a lovely addition to our Big Roll pack, and we hope to see him regularly. Well done Chester, you are a fine specimen of your breed, it was cool to finally meet one of ya. Here, Chester gets a bit of fun in with Shep. 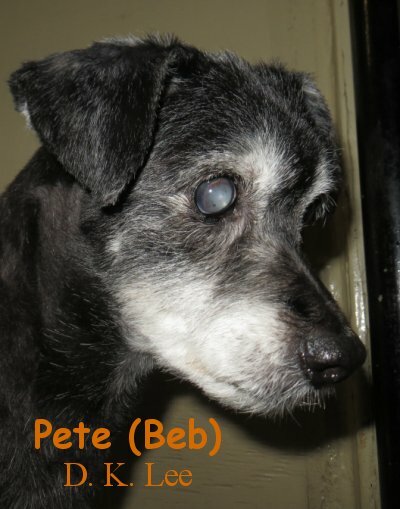 This morning, a small 22-pound 15 year-old Terrier named Pete cruised into Fort Fido. He went right on up into the small roll and was curious as to why he was there. When the first few pups began to enter into the small roll, Pete learned that this was a place to gather and have fun with other dogs. His tail went up and the socialization began. Pete strolled right through his assessment and he may not have played a lot, but Pete definitely made a lot of friends today. We look forward to having Pete return to The Fort for an even more wonderful day.